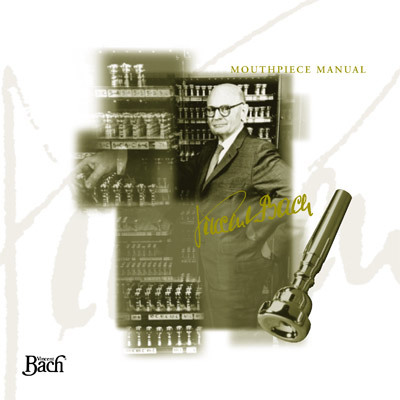 Click a Bach mouthpiece style at left to browse. Bach flugelhorn mouthpieces have been designed in an orderly progression from the largest to the smallest diameters, and from the deepest to the most shallow cup, all with a choice of rim designs. Rim shape is described for each individual model. Model numbers progress numerically from model no. 1 with the largest cup diameter, to model no. 20C with the smallest cup diameter. Cup depths are notated with letters. "A" cups are the deepest; standard cups have no letter designation; progressively shallower cups are marked "B" through "F".